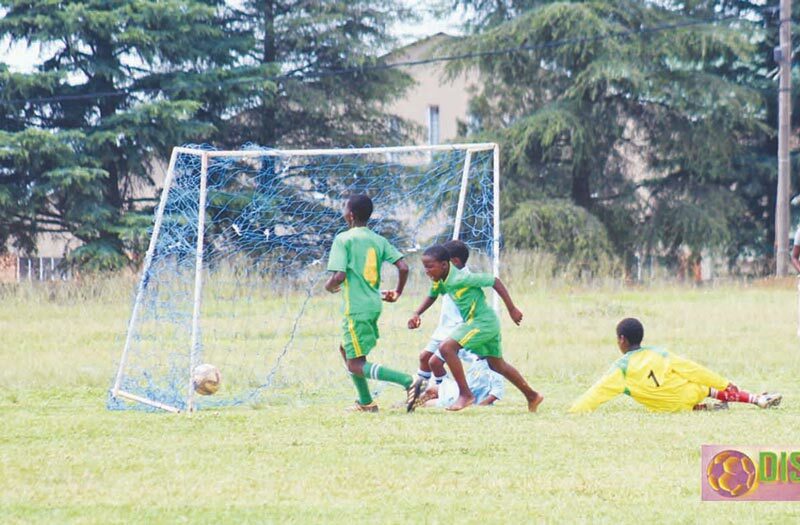 On Saturday, 24 November, two new Thandukhukanya Junior League champions were crowned after their last round matches were played at the Mandla Magudulela Stadium in eThandukukhanya. Congratulations are in order to the team members of Flymingo FC (U/13 winners) and Comet Riders FC (U/17 champions)! 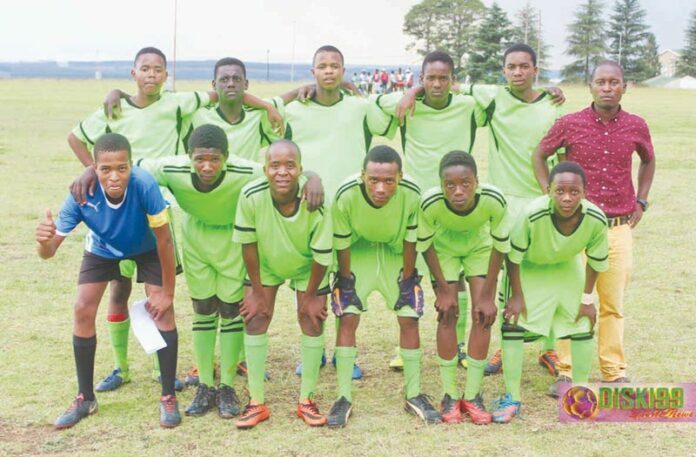 Citizen FC made history by winning the U/15 division for the fifth time – well done! According to Mr Ntokozo Simelane, the Flymingo FC team was confirmed as the U/13 champions with a 2-0 win over the 2017 champions, Citizen FC. The title rivals, Mara Mara FC played a goalless draw in their last match against PR Wanderers FC, leaving them in second position with 65 points after 26 games. The defending champions, Citizen FC, finished in third place after collecting 57 points and the Shining Stars FC finished their season as the most improved team in fourth place with 52 points, (16 wins, four draws and six losses). This club also won the Built it U/13 Knockout Cup, in August. 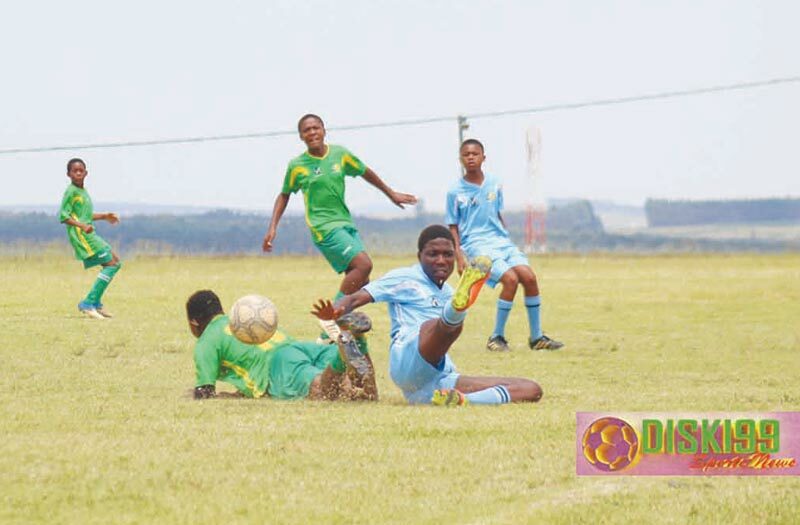 Comet Riders FC had to stand back for three U/17 division leagues until this year when they managed to win against the threetime champions, Citizen FC. This club, from the Mangosuthu area, defeated Hintalo FC with 6-0 in the last game which concluded their league with a nailbiting two points over the reigning champions, Citizen FC. Due to a thunderstorm that started shortly after kickoff, the referee stopped the match and Hintalo FC’s goalkeeper sustained an injury and had to be replaced before the match could resume. The players of Comet Riders FC were on fire and quickly scored six goals. Mighty Commondale FC defeated Welverdiend Stars FC with 4-0 and came third on the log. Citizen FC won the U/15 division after being held to a one-all draw in the final match of their season against Flymingo United FC. Both teams played attacking football until the end but Citizen FC received a penalty during the early minutes of the game and at halftime, the score was 1-0 for them. Flymingo FC’s speedy striker, Sbusiso “Malema” Nkosi and the nononsense defender of Citizen FC, Kwanele Magagula, entertained the spectators with their battles throughout the game. The match was concluded with a 1-1 draw, which was disappointing for the reigning champions, Flymingo United FC, who thought they had the final match in the bag. Both these teams ended with 71 points, but was separated by goal difference, which resulted in the fifth win in a row for Citizen FC. Prizes to the winners could unfortunately not be handed out after the final matches, but according to Mr Simelane, the date and the venue for the ceremony will be announced at a later stage.